www.RoyalWebsite.blogspot.com: How to use lucky patcher on your android smart phones and all about the basics of lucky patcher. *Before starting with the lucky patcher, you need to know few things about the lucky patcher. Firstly you should be having a root access to you device for which you need to root your android phone, because this lucky pactcher works only with a rooted phone and it is impossible to work without having a root access on your device. 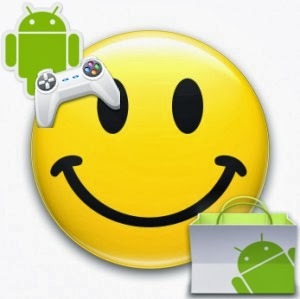 *Lucky patcher is the software which is used to modify .apk files(.apk is the format used for android apps and games). * Its a great software used to change permissions, remove ads and helpful in changing a trail version software into a total full version software with all features as on that of a real full version software by using a custom patch option in lucky pacher software. *You can also backup files by using this lucky patcher without using titanium backup as these all are outdated and not in use now a days. *At this point, it use only for Applications requiring the correction of libraries ".so". But custom patches do not exist, except for the old Titanium backup, which is no longer in use. The Patcher need root access to work! *Immediately after opening this software it loads all the applications installed in your device and enlists those applications according to the chances of modifying the applications and shows you each application in different colors as listed below. Each colour indicates the different probabilities of changing the applications. Green - This program has a great chance to become a registered. Cyan - For this Program found Google Ads. Magenta - This program are in BootList. Impossible - This program has no chance of becoming a registered. The exception is the application of two parts (Application and APK-Pro-Key). In such cases, patch both sides, either one of them. Orange - (System Application). Be very careful when performing any operations with them, it could end very badly for Application or Operating System. BootList - a list of programs that will patch the boot device. Clover - in this Application Patcher made Changes. Star - means that dalvik-cache applications has been fixed(ODEX with Changes created), and this in turn means that the application will remain in its current state until the first update, or delete an application. If such ODEX removed with "Remove ODEX with Changes", then the Application will be fully restored to the state before the patch. When you update an application, problems can arise. The market will swear that he had not enough space, run Lucky Patcher and close and try again to install the application, if such an error is written to the uninstalled application select the settings Luckypatcher "Troubleshooting->Remove fixes and backups (to update app)" - all fixes dalvik-cache for all programs will be removed. -Remove License Verification (Auto mode!) -Attempts to remove license check. There are a few differences from the "Auto mode!". It may help you, if do not help "Auto mode!". Attempts to remove license check. Removes the license for brute force. You can select a group of templates that must be applied. Attempts to remove Google Ads. Removes ODEX file containing the changes. Thus Restoring to original status of Applications. Removes Permissions of Application.Be very careful doing this. Since the on some devices, this method can lead to a circular reboot or other undesirable consequences. Make a backup system before you try to disable permission. Creates an installation package apk on the basis of the available patches. You should know that a rebuild apk-file is not the same as the patch is already installed application. Since they has opposed to simply patch the application is very easy to test yourself to changes, and thus work correctly so faly The install will not. At this point, it use only for Applications requiring the correction of libraries ".so". But custom patches do not exist, except for the old Titanium backup, which is no longer in use. Works very unstable. It is desirable to add no more than one custom patch. If its use is necessary, it will be written in a custom patch. Patcher to debug the Application. Backup apk-file for Restore Application. Apk files will be saved to /sdcard/LuckyPatcher/Backup/. Restore Application from apk-file in /sdcard/LuckyPatcher/Backup/. In the default mode, all changes remain odex-file. Some odex files not work to the application (for example when an application is moved to externalSD). Then the Copying in the dalvik-cache can help. But you can restore the application, if is only reinstall it. Copy apkfile to sdcard in the Data Folder of Lucky Patcher. You can reinstall (for Restore) this Application from this apk. Delete dalvik-cache! - After creating the odex-file deletes dalvik-cache of this Application to save space. If the application does not work with odex, will have to reinstall this Application. To return Application to its original state, you need to tap "Remove ODEX with Changes" or "Restore". - To return Application to its original state, you need to tap "Remove ODEX with Changes" or "Restore". Tap to Software and select "Custom Patch! "; - Run and test Application with Internet; - If you're lucky, patch work; - To return Application to its original state, you need to tap "Remove ODEX with Changes" or "Restore". Tap to Software and select "Change Permissions"; - Tap to Permission for disable (red); - Tap to Permission for enable (green); - You must tap Apply (Reboot). Tap to Software and select "Create Modified APK"; - Select Patch for Modification of APK; - Modified installation file will be in folder /sdcard/LuckPatcher/Modified/ ; - You should know that a rebuild apk-file is not the same as the patch is already installed application. Since the as opposed to simply patch the application is very easy to test yourself to changes, and thus work correctly so faly The install will not. PS: Patcher closes the application, when makes patches. This is necessary so that the new changes earned. But sometimes you may need to restart the device.